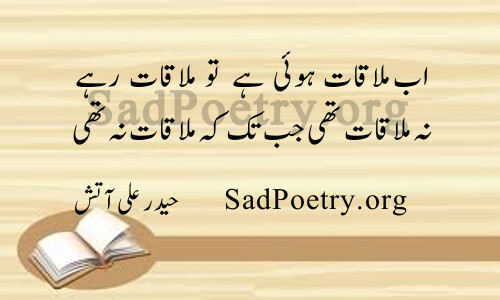 Welcome to SadPoetry.org which hosts one of the largest collection of Urdu Poetry as well as English Poems. We have a huge database including more than 70 Poets and over 100 categories covering almost every walk of life. Our collections are updated daily and we are also working on adding more poets to our database. You are also encouraged to submit poetry using our submission form at the top of this page. 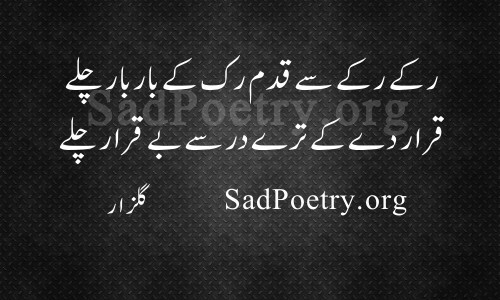 Urdu poetry is very popular in both Pakistan & India. The history of Urdu poetry dates back to 13th century. Amir Khusrau (1253-1325) is regarded as the first Urdu poet. In the 18th century Mir Taqi Mir become very popular and still today he is regarded as one of the best Urdu poet of all time. In the 19th century Mirza Asadullah Khan Ghalib became very popular and wrote some famous Shayari and ghazals. His classical poetry is still very popular in South Asia and it is also translated to many other languages. Allama Iqbal also got widespread popularity specially because of his philosophical and youth-oriented poetry. He is also the national poet of Pakistan. 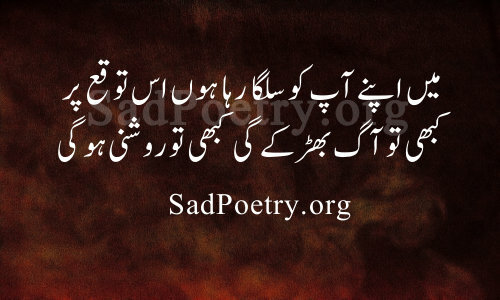 In the modern era poets like Ahmad Faraz, Parveen Shakir, Faiz Ahmad Faiz, Mohsin Naqvi, Habib Jalib and Muneer Niazi also become popular and have some notable Shayari collections which are popular among the masses. 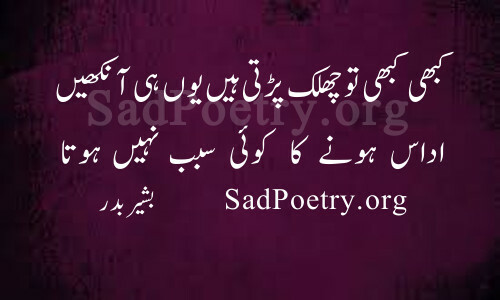 Urdu poetry has different forms like Ghazals, Nazams, Hamd, Rubai, Qawali, Manqabat, Marsiya, Naat, Tazkira etc. Most popular among these are Ghazals and Nazams which are also sung by popular singers and are also used in movies. 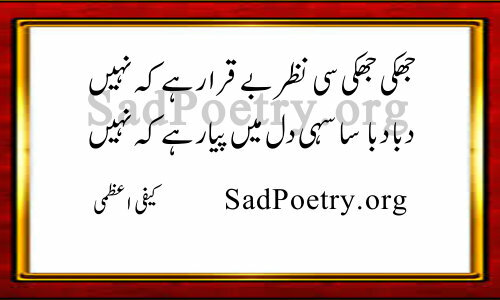 Urdu Poetry is used by poets of different eras to express love and romantic feelings and to highlight the social, cultural and political problems of their time. 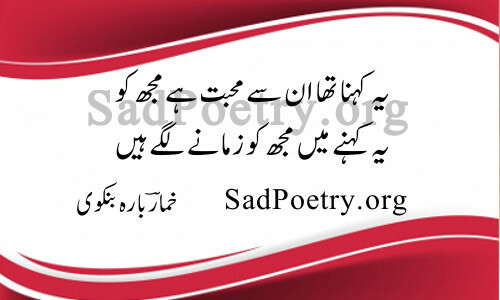 Shayari is written on numerous topics ranging from love, romance, rain, independence, youth, sadness etc. Sad poetry which usually conveys the emotions of love has become very popular over time. English poetry dates back to 7th century and hymn is regarded as the first English poem. On our site we have collection of some popular poets like Lord Byron, Robert Frost and Shel Silverstein. Our collection includes love poems, sad poems, friendship, funny and kids poems as well. 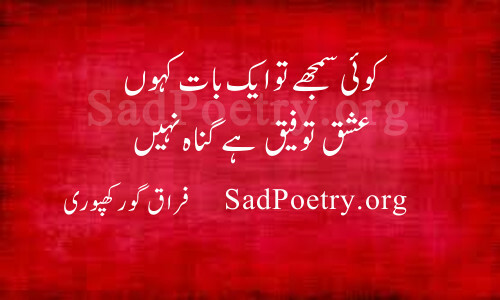 Here on SadPoetry.org, you may have noticed that the focus is more on Urdu but we are continuously working to increase our English poems collection as well.